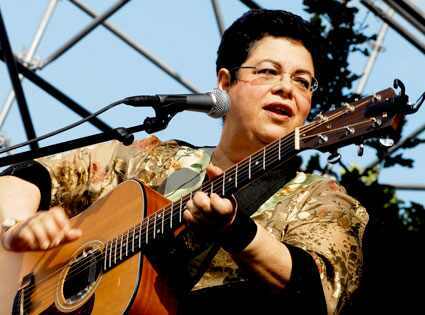 My introduction to Phoebe Snow, as with most everyone, was the song, “Poetry Man.” In early 1975 I witnessed her wonderus set opening for Jackson Browne in Birmingham, AL. She sang as if she knew you, the listener, and everyone around you. You couldn’t help but listen, her voice demanded and compelled any audience whether it was a radio tune or a TV commercial. I met Phoebe personally when I managed the career of Mindy Jostyn. Mindy along with her husband, writer and lyricist Jacob Brackman, were friends with Phoebe and we had dinner before Mindy’s solo set in Piermont, NY at the Town Crier. Phoebe was always energetic and full of life. She included her daughter, Valerie, in every conversation. Valerie was born with a brain defect that left her immobile and unable to talk. Phoebe always had a connection that she swore allowed her to communicate with her precious daughter. After several phone conversations, I agreed to help Phoebe with her “comeback” in 1997. Phoebe never actually left the music scene, she just stood on the periphery collecting money doing jingles and TV commercials as she tended to the day-to-day needs of Valerie. By 1997 she was ready for her return to concerts and even possibly acting. As the evening wore down and the host for the incredibly high-priced auction, Sir Richard Branson, walked by our table and greeted Phoebe with a huge smile and a kiss, I felt that I had arrived by Phoebe’s coattails. Branson had just sold his vested interest in Virgin Records and was starting a new record company, V2, with a couple of executives I knew from Sony/Columbia. He was intrigued by Phoebe’s decision to record again and even possibly tour. He invited us to join him, along with Dan Beck, a Sony VP he had hired as a CEO, at the Russian Vodka Room next door to Roseland. Not only did I view Phoebe as a friend, now we could actually make something of her career starting with a recording contract with Branson’s new start-up company. Neither Phoebe nor I were drinking alcohol but I was happy to make the trek to the bar to get refills for Branson and Beck. It was around my third trip to the bar and the end of my cash that I returned to the table and Phoebe was telling them about her health problems in graphic detail. I correctly assumed we would not get a return phone call from the new company. Phoebe drove me home and we barely spoke a word. It was around the same time I tried to reconcile my personal life and business. I lived in Nashville balancing the careers of aging rockers as well as Phoebe who never lost her incredible voice or her drive to be in the public eye. She never lost her devotion to Valerie, her main concern. Jackson Browne was playing a benefit downtown on the same evening that Max Weinberg hosted a benefit uptown. Phoebe wanted to play both. I was 1,000 miles away but she swore if I could get her both gigs she would make them happen. I booked them with a lot of trepidation. Phoebe did not make either of the shows' soundchecks and I was being yelled at by stage managers, road managers, and producers from afar. Phoebe made it to each show and wowed the crowd with amazing performances. She brought the houses down – both in the same night -- and didn’t bat an eye that something could have been amiss. That was Phoebe. I decided then and there that it was much better to be a friend with Phoebe and not her manager. Phoebe was always unmanageable but she knew where she was going and what the end result would be. She knew her voice was the magic wand that kept every thing in place in her messed up life. She joyfully joined the 9/11 concerts in New Jersey and, again, brought the house down at each performance. The last time I saw her was the memorial service for Mindy at the Bitter End. Phoebe sang a song that left everyone in the audience and crew stunned and promptly left the room. I regret not keeping in touch and I regret not knowing that she was ill the past year. When a friend dies so young, no matter how near or far, it takes something out of you that you cannot replace.